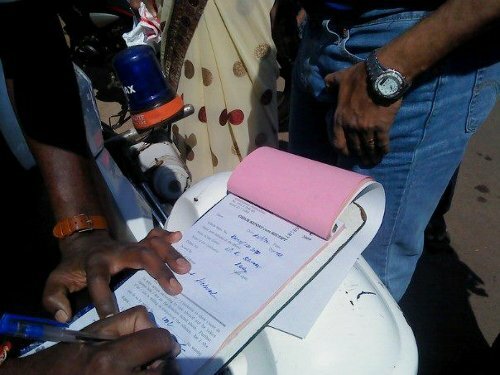 As many as 426 cases were registered today by the Traffic police for non wearing of helmets. This is day one of the compulsion of wearing helmets for two wheelers and in about 7 hours time 426 cases were registered until 5pm and a fine Rs.100 was collected from each. The response to this compulsion of wearing helmets is mixed but people are buying helmets and wearing them. Helmets are for our safety we need wear them by ourself and need not need police to make us were and blame them for collecting fine.